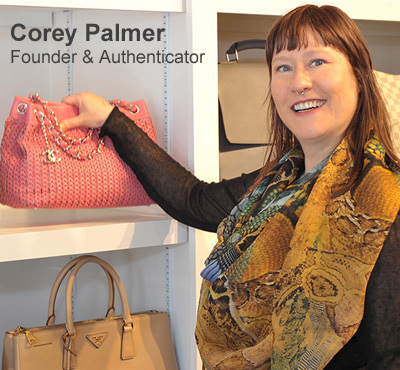 Real Deal Collection was founded in 2006 by a handbag collector—turned authenticator—to help people safely acquire and easily recycle their luxury purses. Corey explains, "The devil is in the details. After decades of hands-on inspection and constant learning we can distinguish counterfeits from the genuine articles." After 6 years of working with clients all over the world through this website, she opened a brick and mortar store at 223 W. San Francisco St. in historic downtown Santa Fe, New Mexico. We specialize in pre-owned bags and accessories from high-end designer brands including Chanel, Hermès, Louis Vuitton and more. Clients can sell their gently used accessories directly to us, via consignment sale, or trade-in for store credit. Benefit from our trusted reputation and enthusiastic customers all over the world. You can also find us on eBay, Tradesy, and Le Prix. Get on the list for FREE!